Goodreads: Robin Fox, peace-loving professor of world religions, wants only to leave his dark past as a military interrogator behind him. But when an unknown suspect tries to disperse a deadly virus in downtown Washington, Fox is unwillingly drawn back into the shadowy world of intelligence. From Washington to Jerusalem, from Rome to London, Fox must use all his skills to stop devastating attacks on the world's holiest sites on their holiest days. Kritters Thoughts: With the world that we live in now and religious zealots doing all sorts of things, this book fits in right here and right now. Robin Fox is the head of an institute that strives each day to move the world to a more peaceful state, no matter what religion you adhere to or even if you don't, Fox wants peace for everyone. With an attack in the states trying to discredit religion, Fox is brought in to try to get to the bottom of it. Let me start by saying, I was a religious studies major in college, so the study of religion and society is my jam and add a little political intrigue and no matter what side of the political fence you are on you can admit that the entire world is a little nutty right now. I loved the character of Robin Fox. I love his continual pursuit of finding the truth, but with the least violent means necessary. I loved how he walked the reader through his steps and I felt was though I was completely in his mind and thoughts and wasn't left out of the dark for any reason. I knew what was happening as he encountered it - I like being kept in the loop! I would compare this book to a Dan Brown book. In both books, you are on a quest to find clues and they both have linked the clues to religious texts and such. I felt as though the pacing was similar in that once I start a Dan Brown it is hard to put down and the same was for this one, I read this book in two sittings because once I started down a path I wanted to find out where it would end. 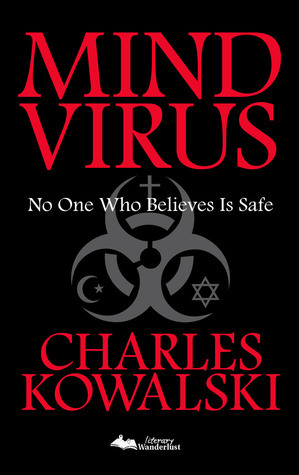 I am a fan of Charles Kowalski and could see myself reading more of his, especially if they are like this one!